Hi all – hope you are like me and really looking forward to the coming lacrosse season, and starting mid-April, it’s not too far away! There’s been lots of lacrosse over the off-season, many of our juniors played indoor lacrosse with SILL; the girls trying out for the under 19 team have had regular training sessions and a hectic set of trials as part of the Southern Crosse tournament; the under 18 boys and girls are also preparing for the nationals in April; not to mention Will and Rubber working hard as the Aussie men’s squad prepares for the World Championship later this year. Club-wise the new committee has settled into its work. Expect to start the year with a new web-site, a great range of merchandise and our regular smooth running canteen and Thursday night dinners. I expect this to be a huge season for us on-field. That will come from more players being committed to practice. Already pre-season has started with an excellent level of intensity as the men learn a new offensive structure and the girl’s have been upping their fitness levels. Good signs. One change we’d like to really see happen this year – is for each team that takes to the field, to be guided by game day coaches and to be looked after by a manager. In the past, many teams haven’t had a coach and hardly any have had a manager. If you’d like to help out (esp. includes parents of juniors) please let a committee member know. We will hold our regular annual registration night on Thursday April 5 – starting at 4:30 through to 6:30 – We will have the BBQ fired up. It will be our 2nd training session back at the main ground with the club rooms available to us. Come down – have a sausage, catch up with old friends and – of course – register to play for the season. Bring a friend (juniors especially try to bring a friend down – but seniors too, introduce somebody new to the sport). Along with regular training, we will have some games going and generally a relaxed atmosphere as we launch regular season training at our home base. There will be no cost for sausages in bread and soft drinks. Juniors are starting at 5pm and seniors at 6. Get in the habit of indicating via the Facebook events for training, if you can or can’t come, that will help the coaches plan the session. We really need to get better at having consistency at training. We know not everybody can make every session – work, family and sometimes the inconvenience of travel get in the way – but please try to come if you can, and either way indicate via a couple of clicks on Facebook if you can or can’t come. 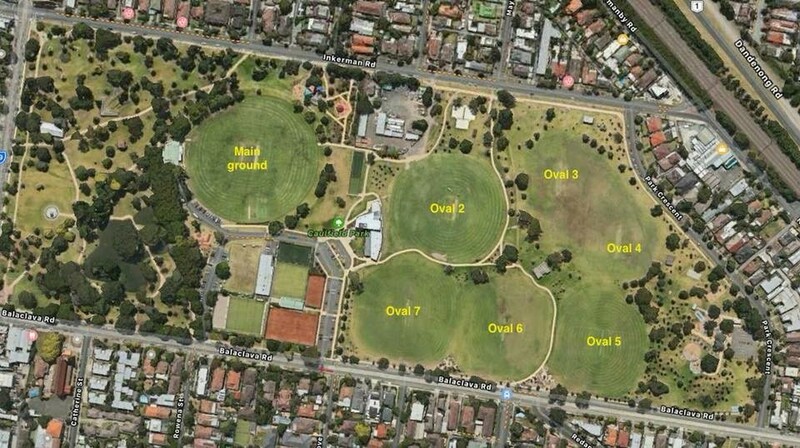 We will be training on the main oval, and switching to Tuesday and Thursday in the first week of April. 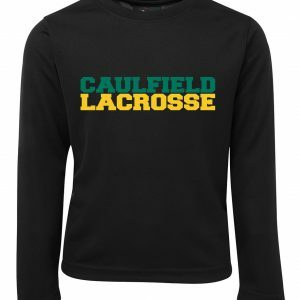 Registration is now open for Caulfield Lacrosse Club. BSB 633000 ACC# 148200769 to avoid extra credit card fees. Please note, once you take the field for your third game, the Club is financially liable to Lacrosse Victoria for full fees. We have prepared an online registration form and we can also accept online payment via credit card. Over Easter the under 18 National championship will be conducted in Adelaide with Victoria represented as usual by both a boys and girls team. Finn Lane and Liam Harari – who was named as a captain – will be playing in the boy teams team for the second year running. They will be hoping to repeat last year’s championship winning performance. Zoe Stannus (heading to her 3rd tournament) and Shaylee Stringer (picked as an alternate even though she’s still under 15) have also been training hard in the girls squad in preparation for the tournament under coach Tim Dobson. The girl’s team were runners up last year and will be hoping to go one better this year. For updates as the tournament progresses also check the tournament page (https://www.facebook.com/ALAU18LacrosseNationals/). Congratulations to Tim Dobson! Tim late last year was appointed coach of the Victorian under 18 girls team. Just this week, Lacrosse Victoria announced they have also appointed him as Head Coach of the 2018 Victorian Senior Women’sTeam. We are all very happy for you Tim, and also super proud. Well done. The team will complete at the 2018 ALA Senior National Championships in Western Australia over the Queens Birthday weekend in June. From Tuesday 3rd April – All players that have uniforms at home, please bring back to clubrooms so it is accounted for in the 2018 season. We’re inviting those who have old equipment at home to please donate it to the club for new players to use. Thursday April 5 Registration night, and training on the main oval begins. Thursday April 12 Season launch, meal after training in rooms with speakers. Saturday and Sunday July 7-8 BYE week (July School holidays). Tuesday Jul 12 Saturday July 21, FIL Men’s Lacrosse World Championship, Israel.